Royal Charter – what is it? Can I use the CICM logo? 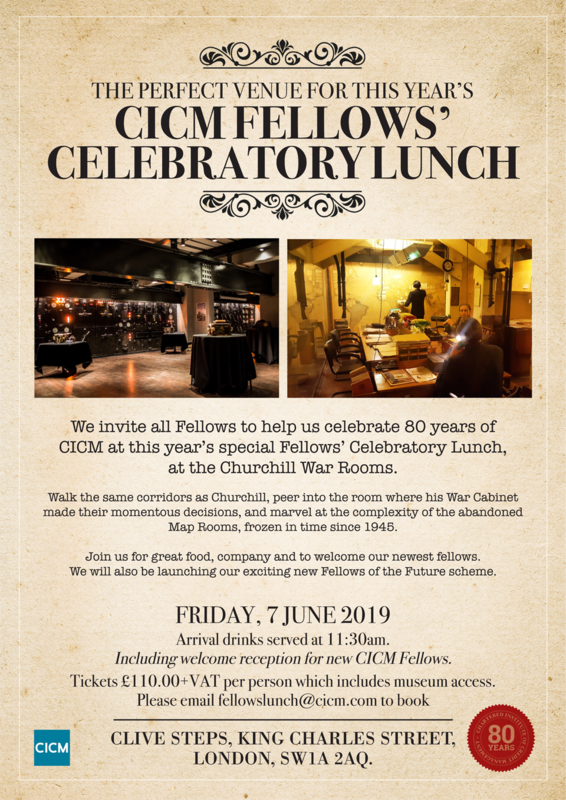 We invite all Fellows to help us celebrate 80 years of CICM at this year’s special Fellows’ Celebratory Lunch. "Find the good - and praise it."